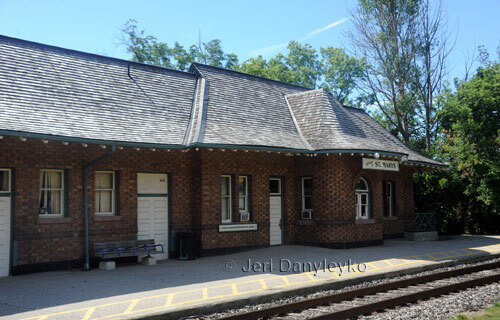 The first station in St. Marys was built in 1858 for the GTR (later CN) by Gzowski and Company. The land was purchased from David Glass who was mayor of London at the time, likely in exchange for gaining access to London. The Glass land was located north of the town site and far from the important commercial areas. 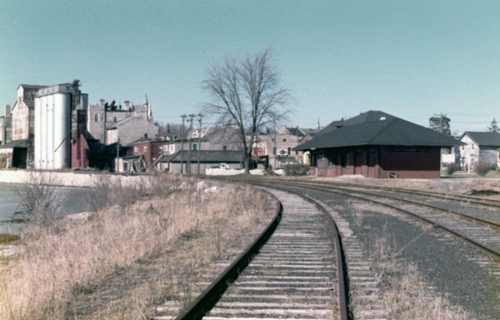 The community was angry and bitter towards the railway for many years. 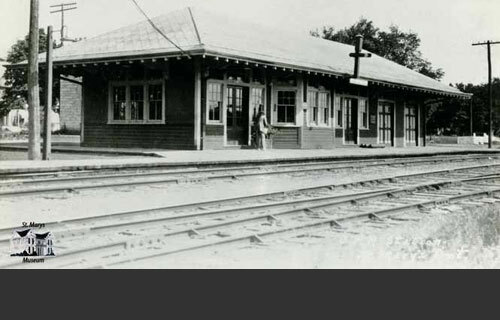 In 1907, the GTR decided to make peace with the citizenry and build a new station closer to town. 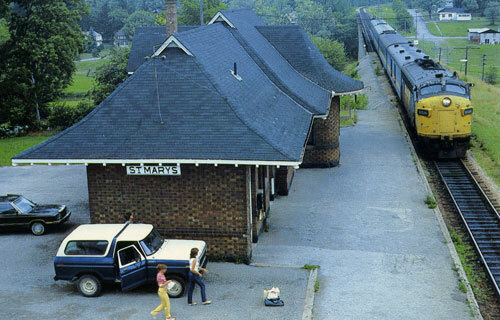 It continues to be used as a passenger terminal by VIA Rail and also for art exhibits and other community functions. 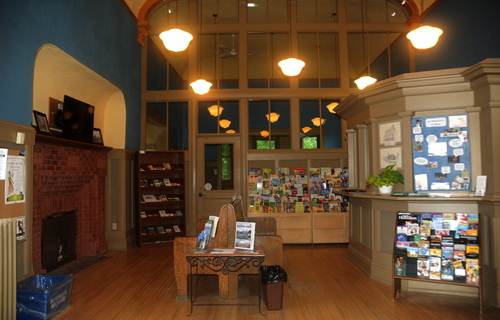 In 1987, it received historical designation for its distinctive architecture. 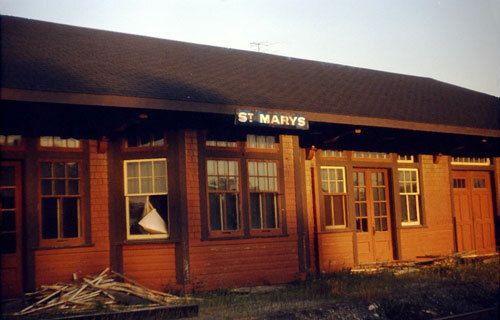 The older station was renamed "St. Marys Junction" and used until 1941. It received historical designation in 1973. It is currently owned by the town and awaiting restoration. 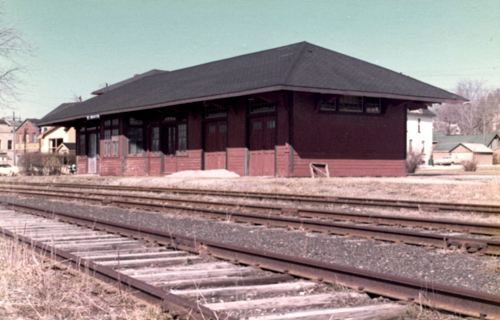 The CPR station was built by the St. Mary's & Western Ontario Railway. 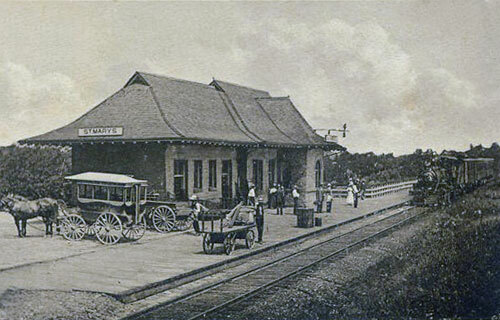 It was completed in 1908 and leased to the CPR in 1909. 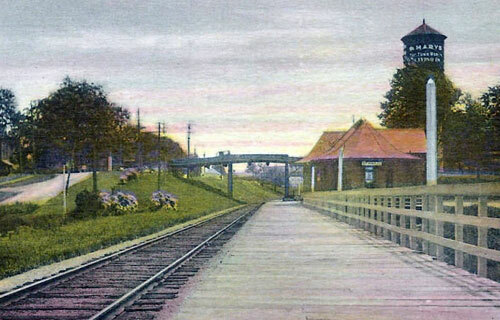 The line was abandoned in 1957. 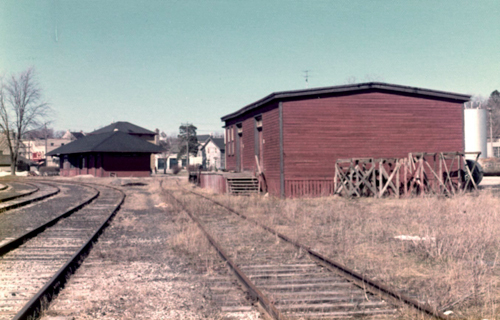 The station managed to last until the 1990s when it was demolished.